All the technical words of polo in Argentina, before visiting a playground. Bowl (or ball): it is round, made of wood, synthetic resin or rubber; it weighs 120-130 grams and its diameter is 76-89 mm. The player hits it with a mallet to score a goal. 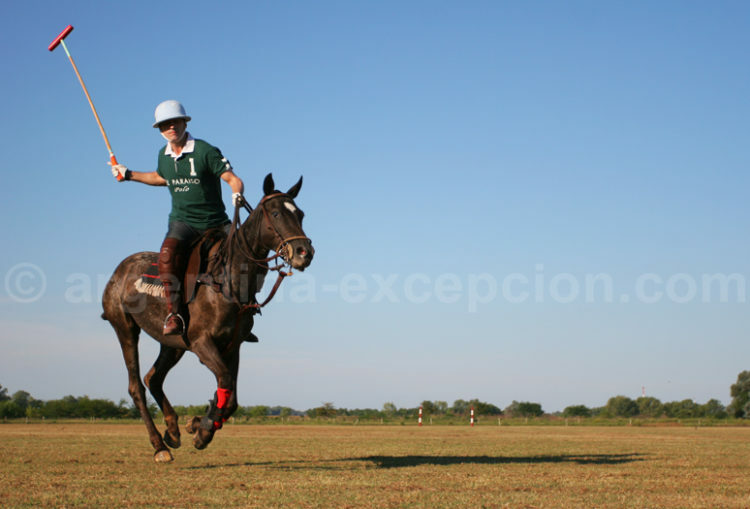 Chukka or chukker: 7-minute game time. Right of way: the rider who has just hit the bowl follows it; he has priority of way over the others. To obstruct the right of way is one of the most serious fouls. 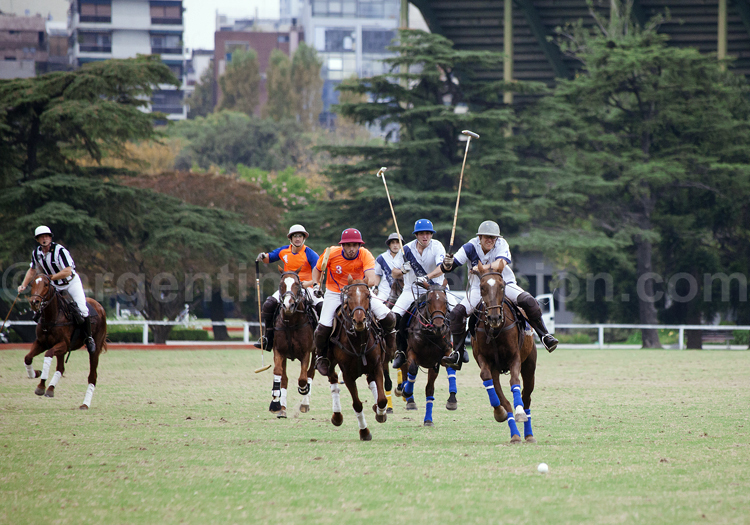 Polo team: it is made up of 4 players. Goal: it is scored when the bowl goes between the posts and completely goes through the goal line. Handicap: each player is handicapped from -2 up to 10; such value depends on the handicap of the other players of the same category. Contrary to golf, the higher the handicap, the better the player. A team’s handicap: the handicap of the 4 players is added up. Back lines: boundaries at the end of the field. Side lines: side boundaries of the field. Mallet or stick: a bamboo stick with a wooden head. It is prohibited to carry the mallet on the left hand. Game: it is generally played in 6 periods. Penalties: more or less severe according to the seriousness of the foul. 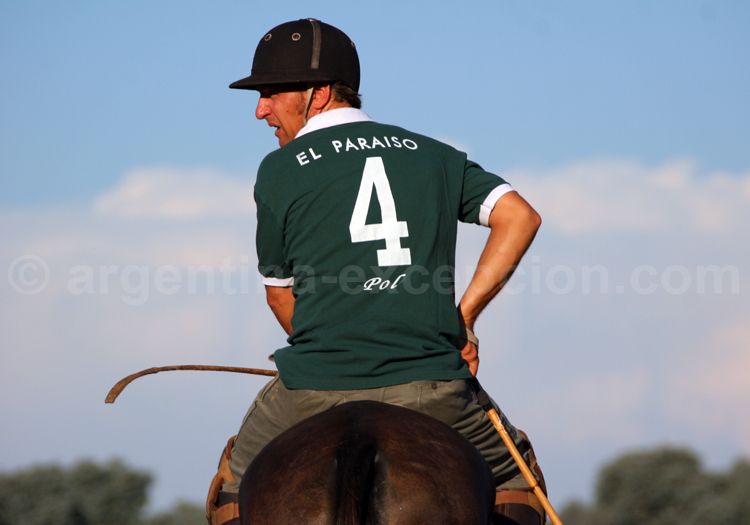 Polo Player: a rider that plays polo. 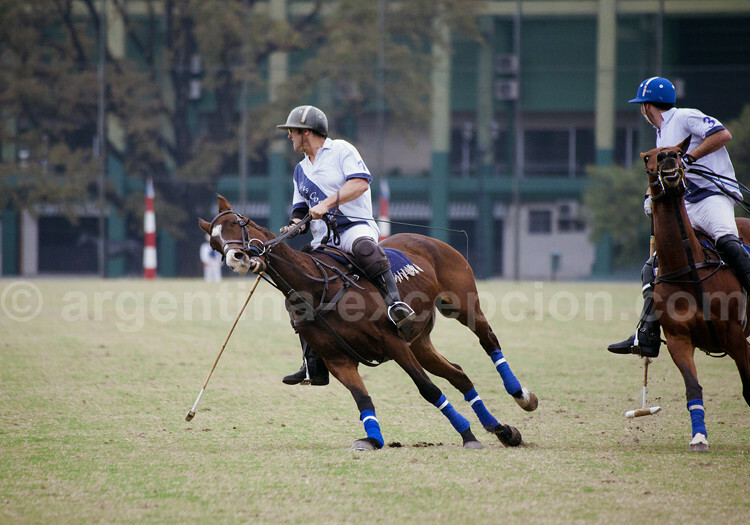 Horse or pony: a polo horse, usually an Argentine one. Goal: located at the back lines, it is 7,20 m wide and at least 3 m high. Sticks & balls: training practice. 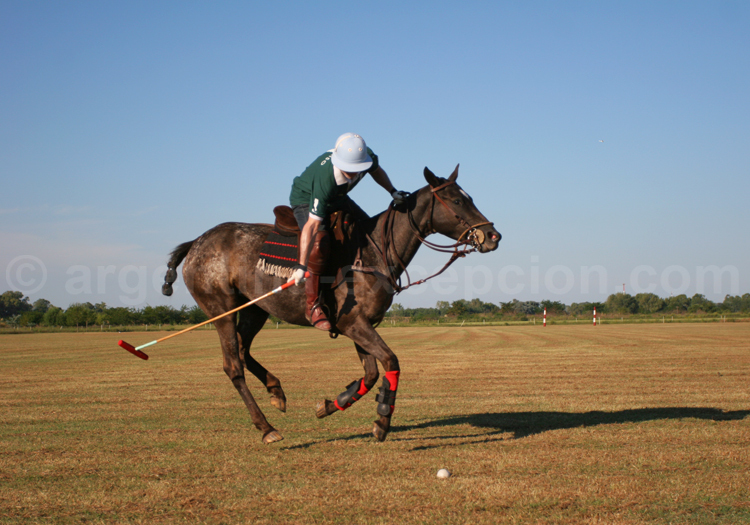 Polo ground or field: 230-275 m long by 145-180 m wide, flat and covered by grass.